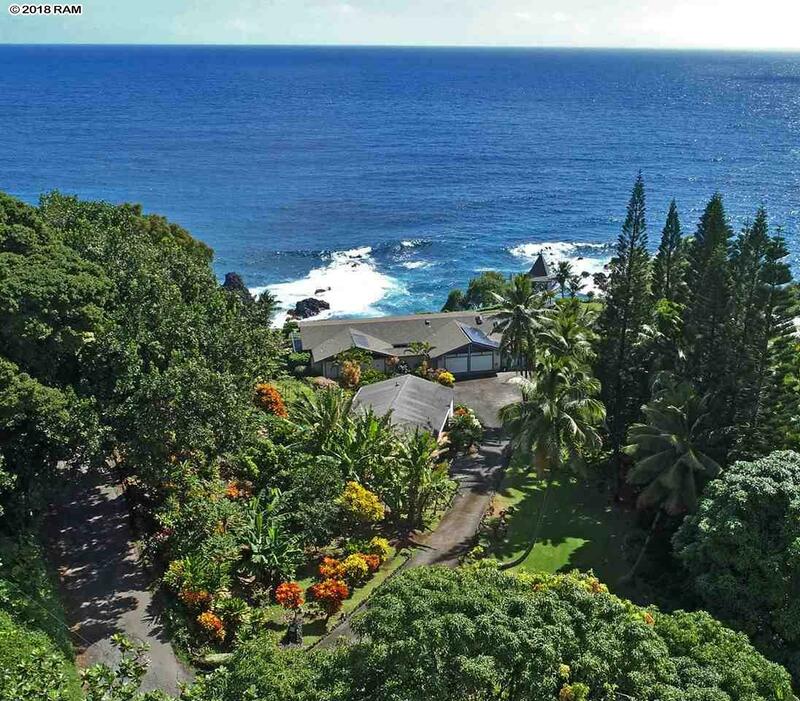 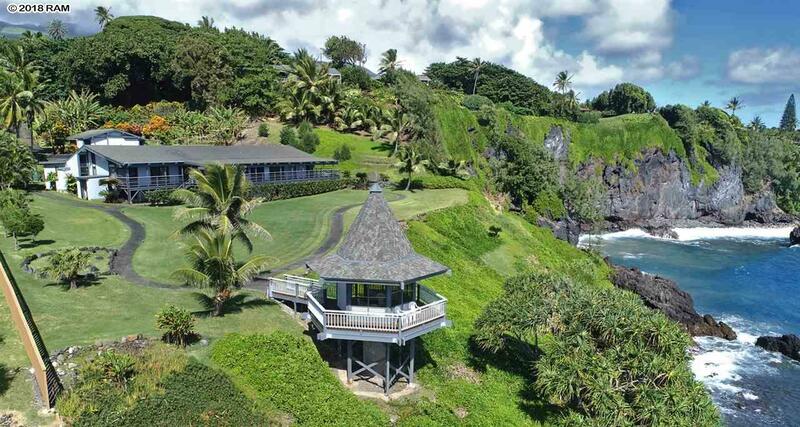 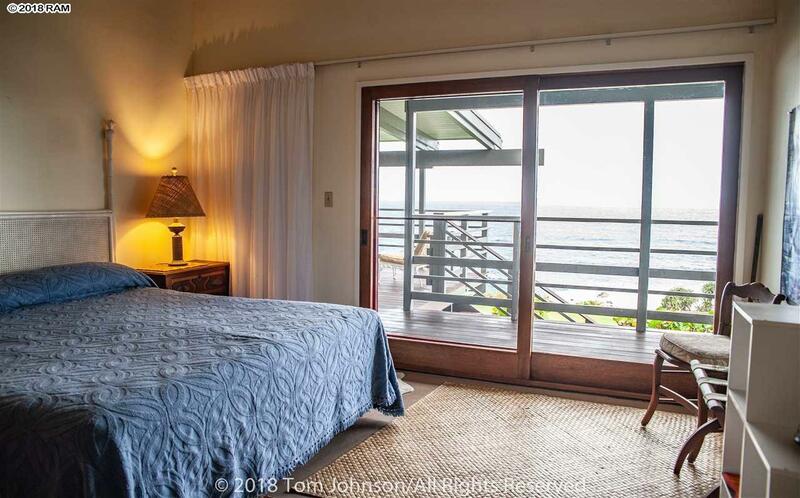 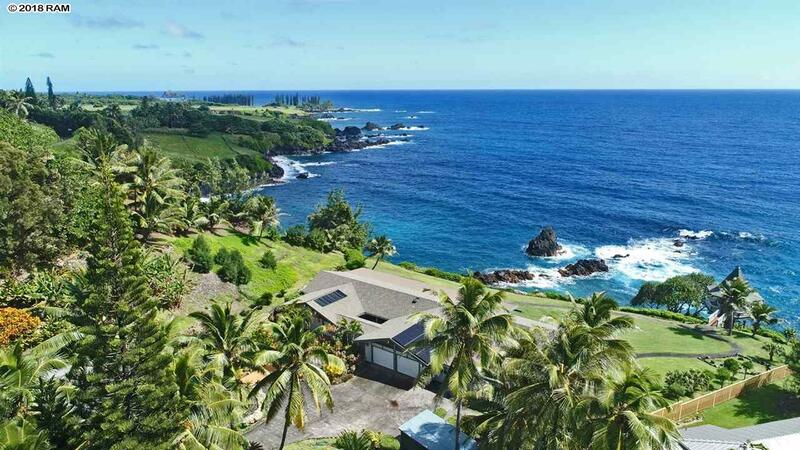 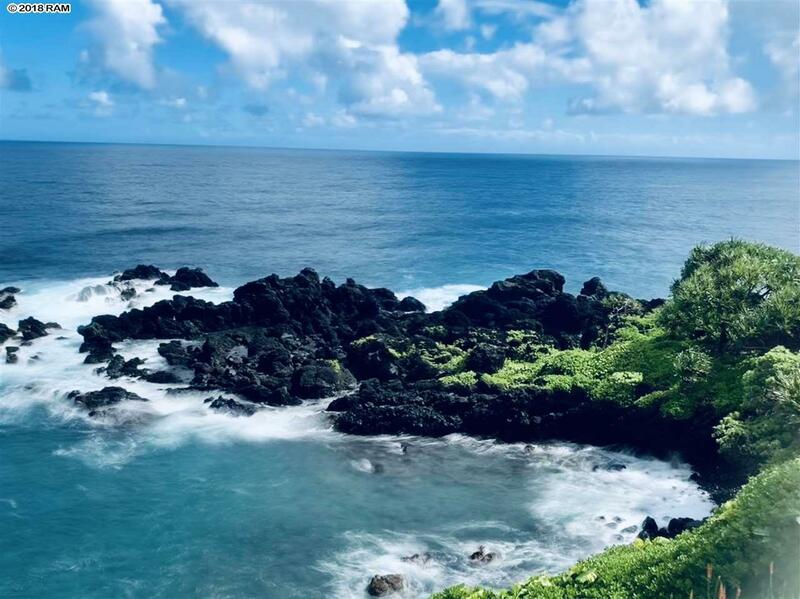 Oceanfront, along the north end of the Kapohue area on Hana's prestigious Gold Coast, these 2.099 acres are private, quiet, and only minutes from Hana Town, Hamoa and Koki beaches and walking distance to Waioka Pond and the Maka'alae Point. 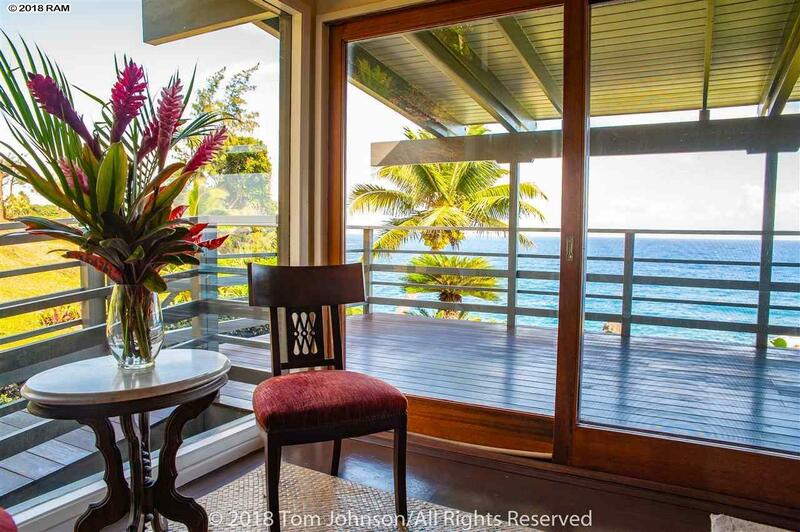 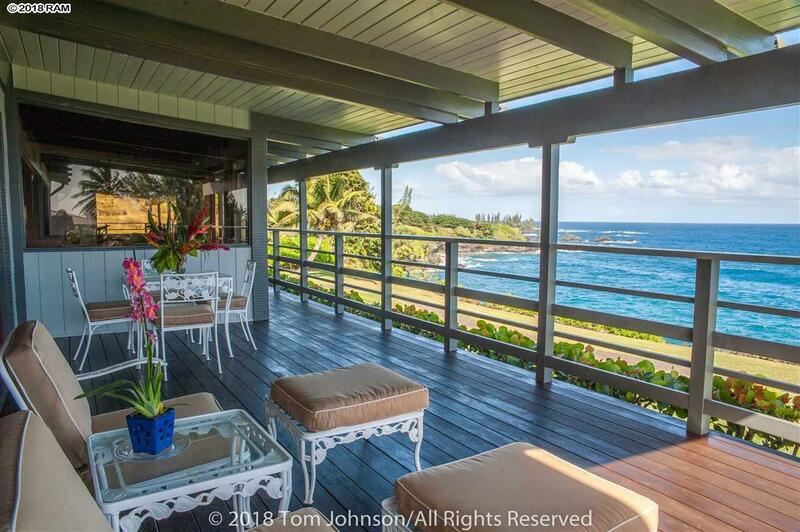 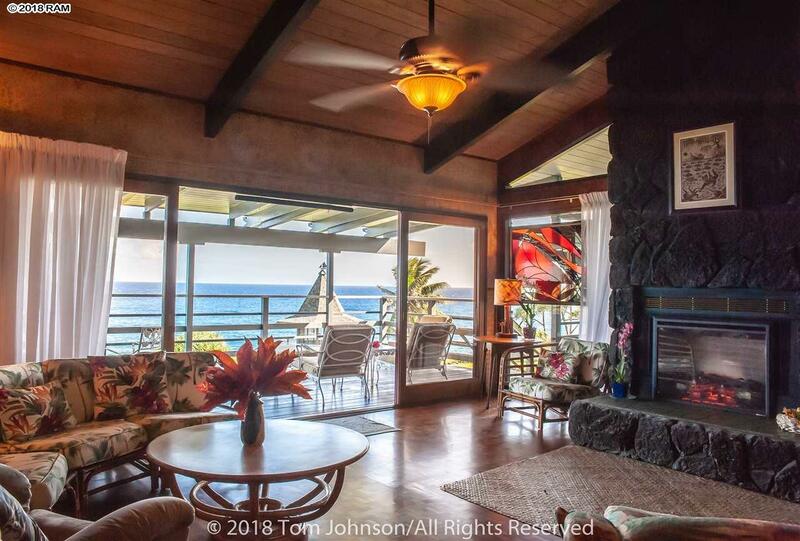 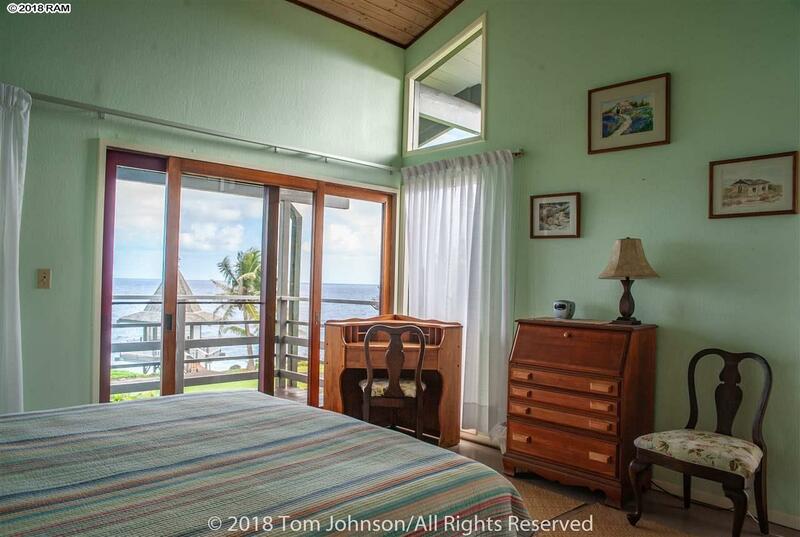 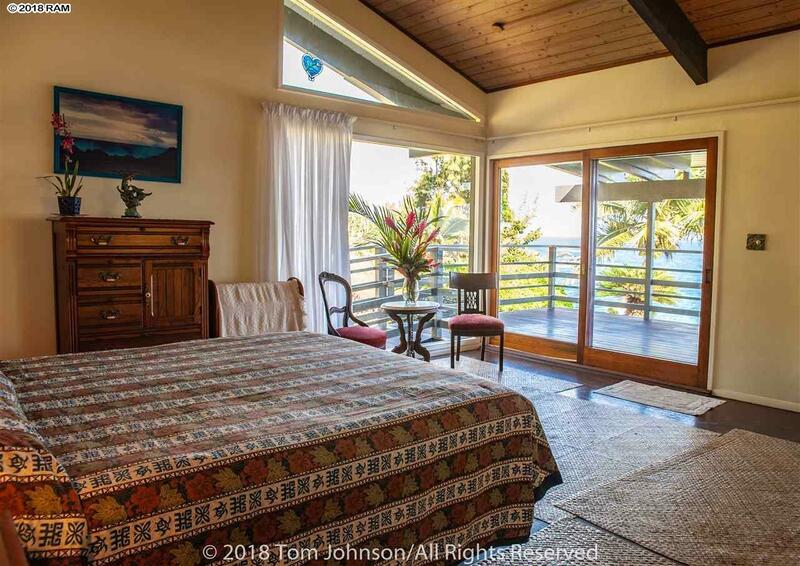 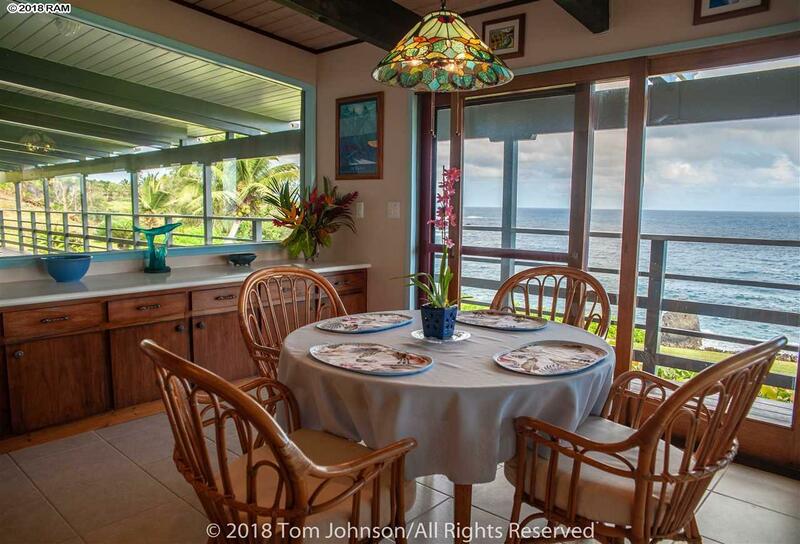 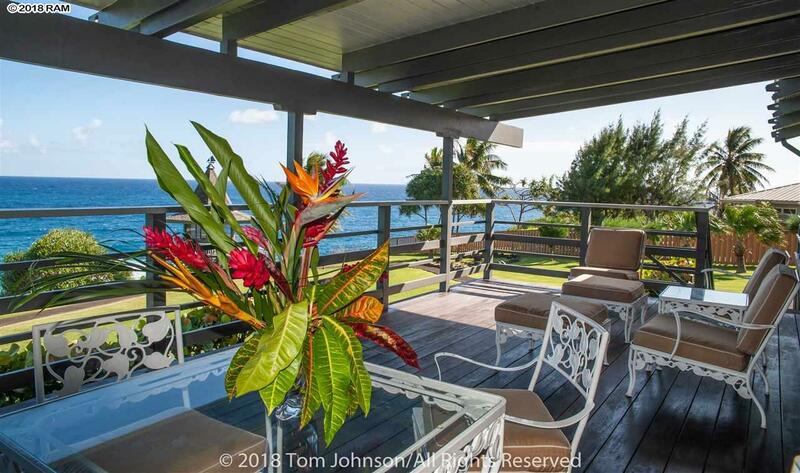 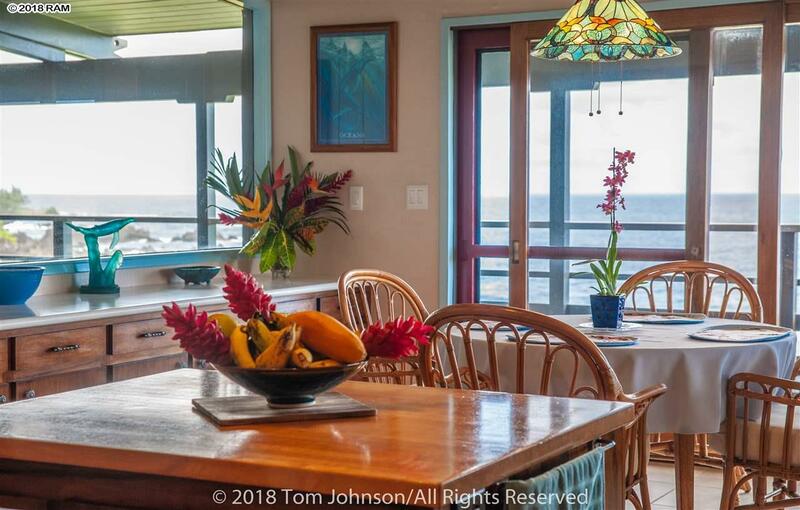 Enjoy expansive approximately 160 degree views of the coast to the north and Hawaii Island to the southeast, sun and moonrises, and sunsets in reverse colors. 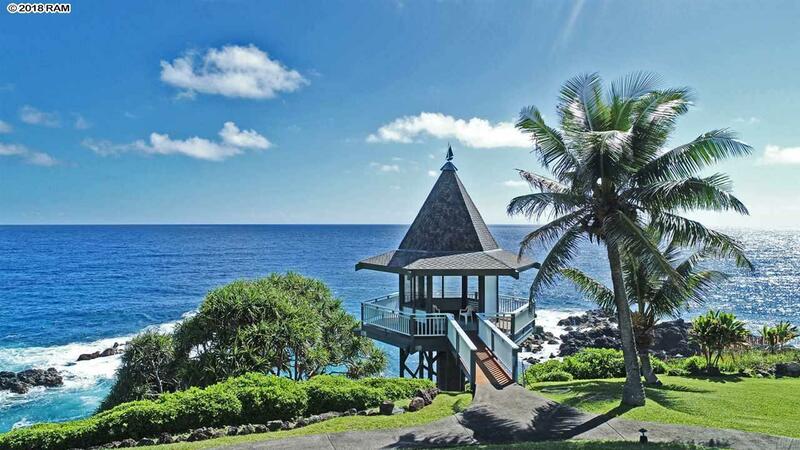 Entertain company in a rare oceanfront gazebo while watching whales, turtles, dolphins and a myriad of other wildlife. 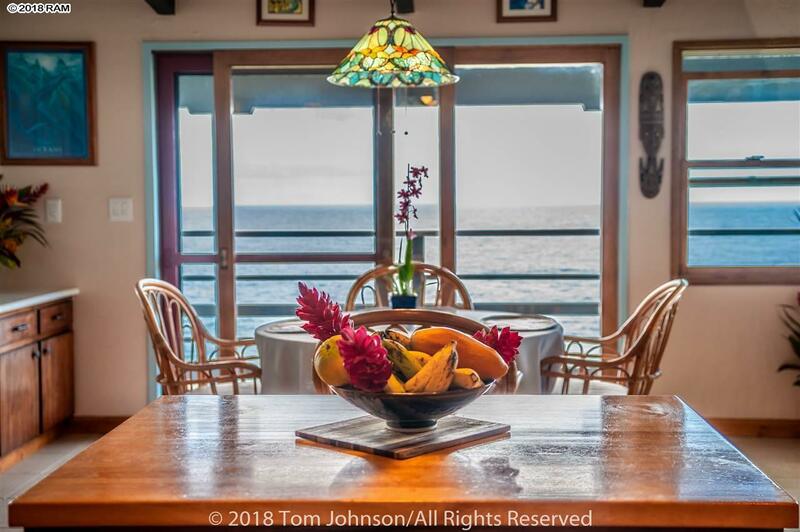 The cruise ship like design lends itself to massive views from all the main rooms with a 120 foot long covered âPromenadeâ lanai. 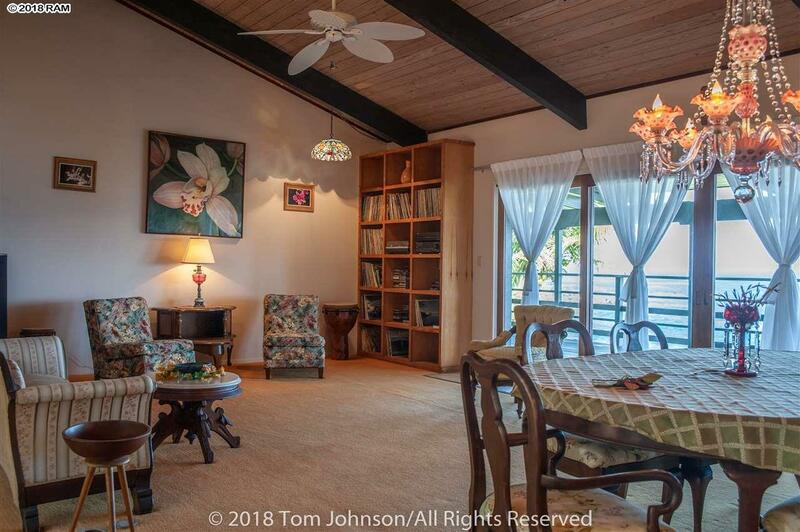 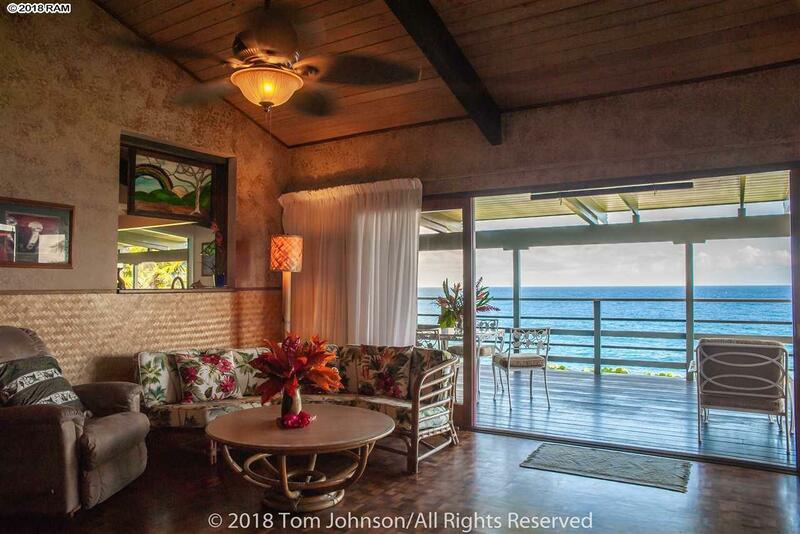 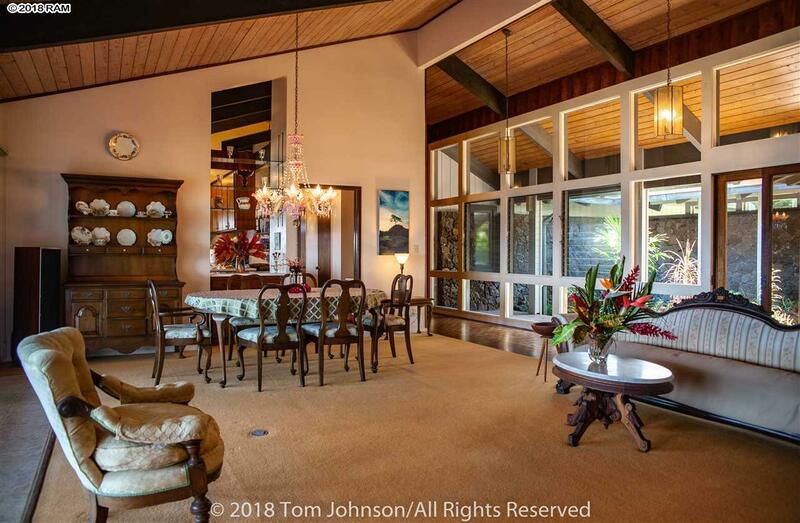 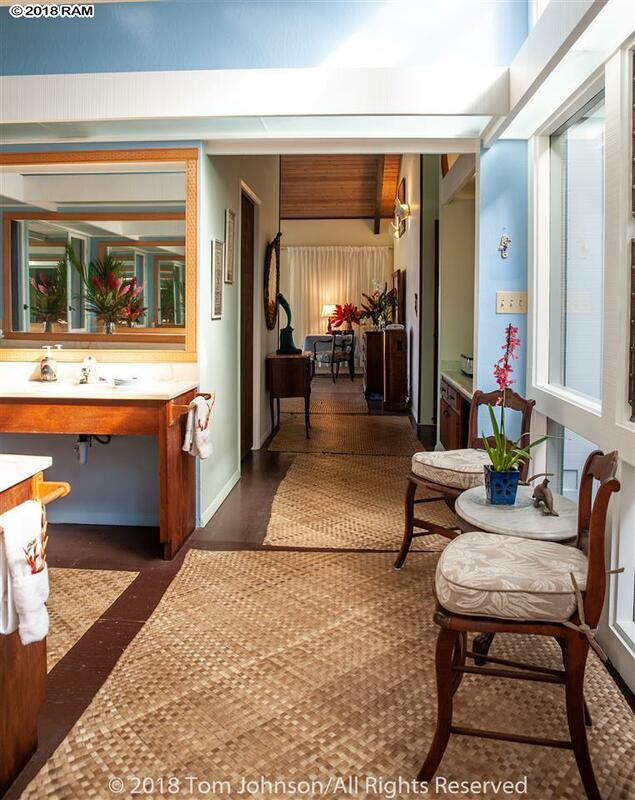 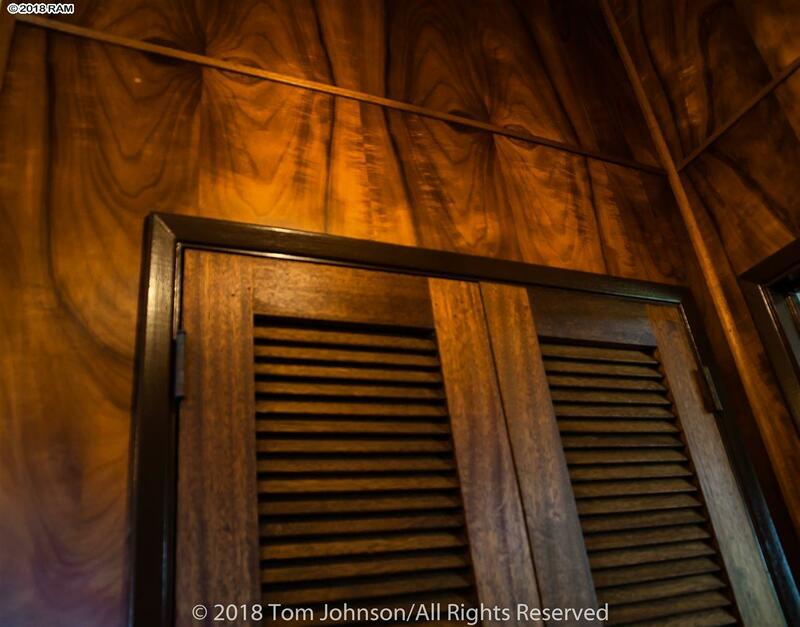 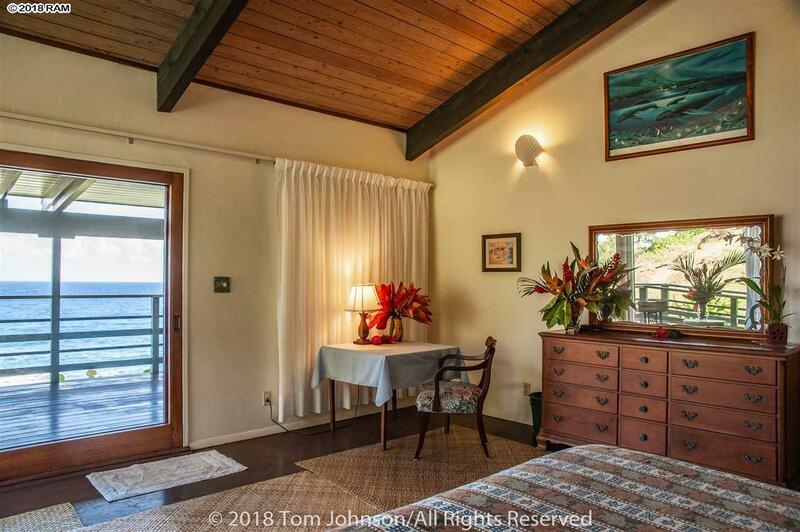 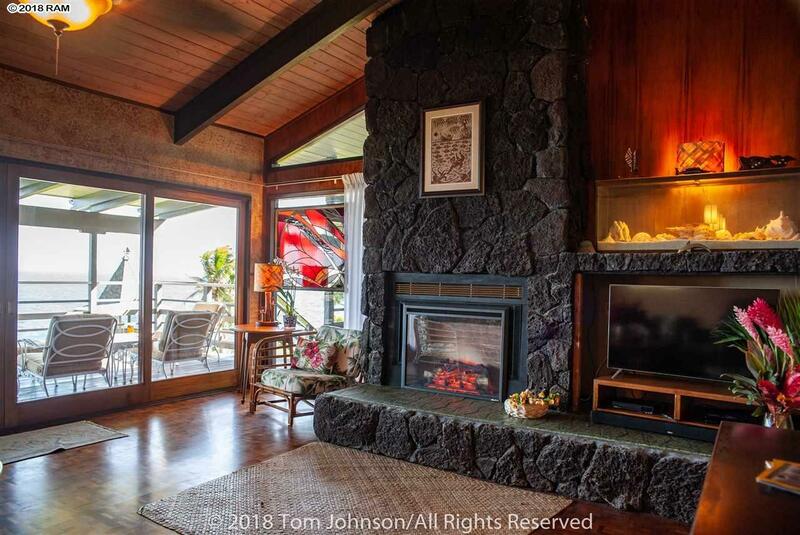 This home features original book matched Koa paneling draping the walls, Mahogany doors, teak flooring and Koa cabinets, all of which would be difficult to recreate in today's market. 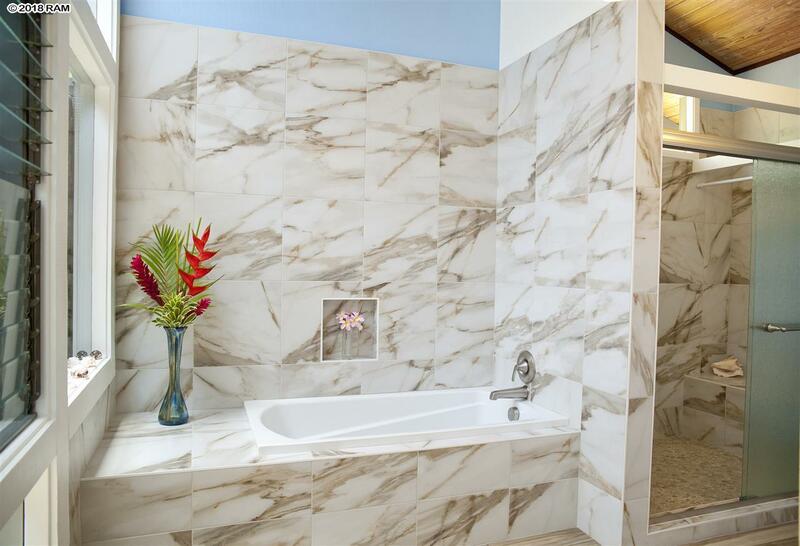 The main home is 3 bedroom and 2.5 baths with a master bedroom suite featuring a large walk-in closet, two-sink vanity area, and bathroom. 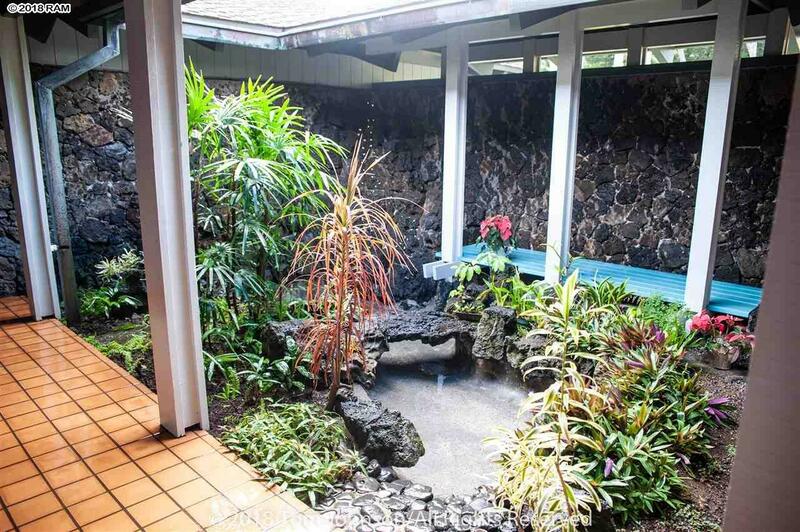 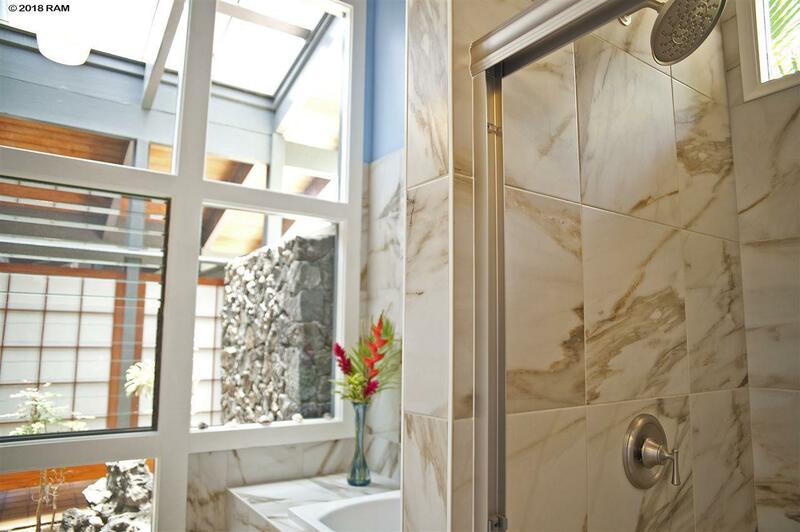 There is a formal living/dining room, an eat-in kitchen, and a family room that features a lava rock fireplace. 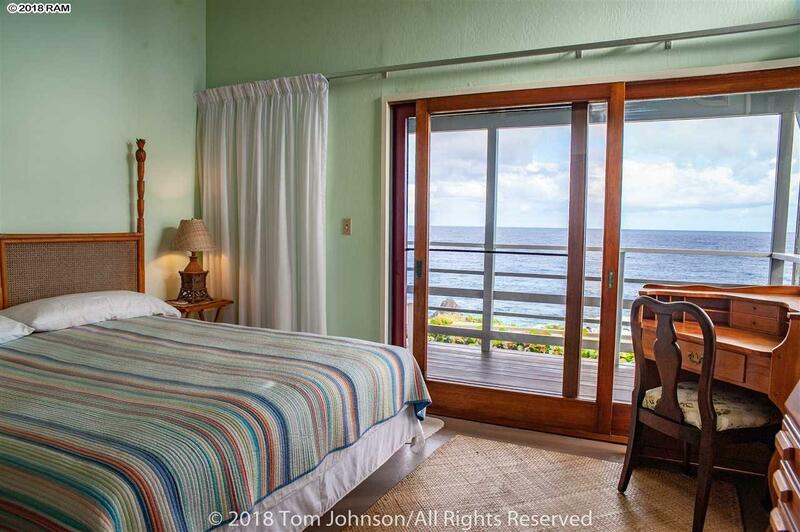 The estate includes a detached 2 bedroom 1 bath guest home, also with partial ocean views. 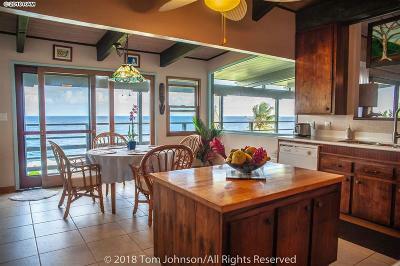 The owners have taken great care and pride in maintaining all structures on the property.